Preschool marks the start of a child’s independence. Toddlers become “big kids,” yearning to do things all by themselves. Preschool children constantly test the boundaries their parents provide, leaving mom or dad the opportunity to say “NO,” or let them get their way. The latter, of course, is the less popular option for most parents. 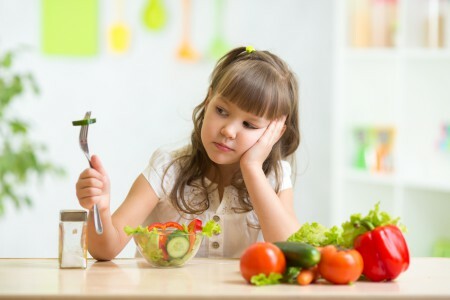 In addition to increasing emotional, cognitive and behavioral growth during the preschool years, eating habits develop as well. Many parents find it difficult knowing what to feed, how much and when. With the little independent eaters trying to do things their way, it is crucial for parents to have a plan and stick to it! Like older children, preschool kids require energy for growth, and to ensure cognitive development is not impaired. Thus, eating at regular intervals throughout the day is crucial. Further, breakfast should not be skipped…EVER! Research shows breakfast skippers are more likely to become overweight or obese. Thus, making a priority to serve breakfast every morning is essential for long-term weight management in children. The most important tip– breakfast doesn’t have to be elaborate or require much time. Yogurt smoothies, trail mix in a bag, or a hard-boiled egg; all of these are quick options that provide important nutrients for our kids. Keep in mind, making time to sit down at the table for breakfast is optimal. Parents should never let kids leave the house without some food in their tummies. Snacking is also something under much discussion. Parents often make the mistake of feeding their children too many snacks, too frequently. Snacks should be low in calories and not affect the subsequent meal. Preschoolers need only one (or less) snack per day. Many times, preschool-age children consume too large snacks which prevent them from being hungry at the next meal. Parents may interpret this behavior as “pickiness,” which can unintentionally limit the child’s food choices. The USDA introduced ChooseMyPlate.gov, which is an excellent teaching tool for parents. Children should consume something from each of the five food groups (MILK, GRAINS, MEAT/PROTEINS, FRUIT, & VEGETABLES) most meals of the day. Make a game about how many colors you can fit on your plate, teaching kids about variety and moderation. Not too much! Preschoolers are NOT adults, and their tummies can get maxed out quickly. Thus, it is important to ensure they balance their food choices by not eating too much of one thing. For more hints on how to manage preschool pickiness, subscribe to our newsletter or contact Lara.